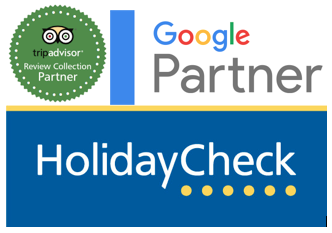 Follow-up reviews is a feature of Hotel Feedback that targets only the Long-visit guests of your hotel. Long-visit guests are the guests that stay more days than your regular guests. Click here to see how to enable and configure Long-visit guests. For the long-visit guests you can ask them to submit a follow-up review a few days after they have submitted their original review. This way you can have actual feedback on how your services improve during the guest’s stay. Click here to see how to enable this feature. Enable Long-visit guests. We suggest that you set the Days offset to 4, but feel free to set a different value if that suits your hotel’s needs better. Enable forward offset for the main form. Although this configuration is optional for the follow-up reviews, we believe that when enabled it will work better for the follow-up reviews. Enable the follow-up reviews. In the main form settings page you can enable the follow-up review feature. We suggest to set the offset for that to 2 days. You can choose a different value if that suits your hotel’s needs better.